Want a little piece of sunshine to take with you everyday? 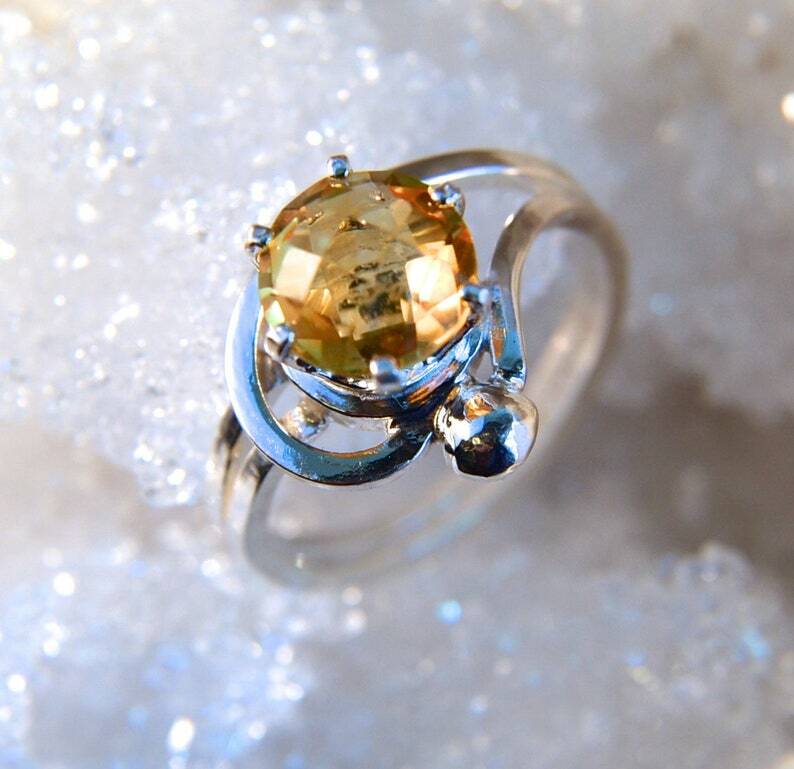 This stunning Citrine will do the trick. Checker cut faceting makes this ring extra special. Tiny facets cover the whole surface of the gem, even the backside. And we all know that facets equal sparkle! This lovely Citrine is 8mm round and 1.65 carats of golden twinkle. The sterling silver band was handmade by me, one little piece at a time. Because it is handmade, no two pieces are ever exactly alike. I started by setting the Citrine into a tiny circle of silver. The band starts on one side of the gem and after circling your finger, it spreads to give the stone a hug. At the widest point, this ring measures about 12mm wide. Life is too short to wear ordinary jewelry!